My toe is on the mend and in ten more days, I hope it is well enough so I can wear woman's shoes and go out en femme. As I mentioned in the past, I am an "Avon lady" and next month, Avon is touring the USA with its "Come Home for the Holidays 2011" show to acquaint us Avon representatives with new products to sell during the holidays. Besides a preview of new products, each attendee receives a $50 gift bag and has ban opportunity to have fun and network with sister representatives and managers. The venue for my Avon district's show is the Mohegan Sun casino, which has some great restaurants where I can lunch with the girls, as well as slot machines where I might win some or lose some. I have networked with other Avon ladies on only one other occasion: at an Avon rep Christmas party in 2006 (you can read all about it here). Except for the fact that I was way overdressed for that event, it went very well; the other Avon ladies in attendance treated me as one of them and I had a wonderful time. So I expect to have another wonderful time en femme real soon now. I'm happy to find out that your toe will be finally fine and you'll be able to walk on heels soon :) One question: have you tried being en femme on flats ? Not wearing HH, just a sport attire or something without HH. What do you think, a man can femulate without wearing heels ? Personally I think the answer is a full YES, but I want to find your opinion on this (and others opinions, of course). Hugs!!! androgynbeauty --- I have femulated wearing flats many times, but I prefer heels. I don't normally comment but follow your blog. I read your post regarding the Avon rep Christmas Party of 2006, it described everything very well. I agree you may have been over-dressed but, from what you post, you indeed passed! 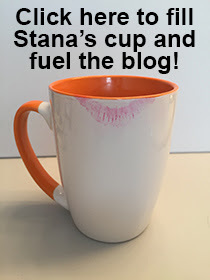 Enjoy yourself, Stana, and glad the foot is doing OK.
FYI, I also prefer heels to flats. 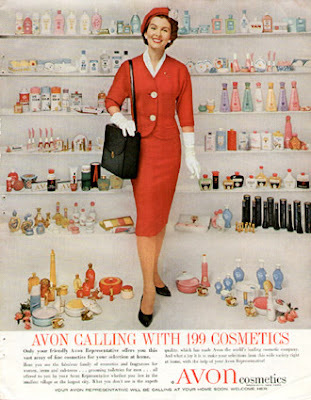 More like passed with flying colors, the avon lady, THAT has to be a blast. Trips through the cosmetic section of Macys is a dream world. Yours camr true. Go girl!